The ceremony is complete and the reception is about to begin! You know the drill ... your guests head to the venue while you, your groom, and your wedding party take some time for photographs. The post ceremony photo shoot can easily take 45 minutes to an hour, so it's important to keep your wedding guests entertained while they await your arrival. Here are 6 great ways to keep your guests not only occupied, but having a blast until your grand entrance! 1. Start with a Cocktail Hour ... but not just any old cocktail hour. Create a signature drink for the event, or have two signature cocktails ... one chosen by the bride and one chosen by the groom. Be creative with your selection. If you are going to Maui for your honeymoon, serve something tropical. If your first date was at a winery, offer a wine and cheese pairing. The most important part is to let your guests know the story behind your selection. Create small post cards or table cards with your engagement photo and a short narrative to share. 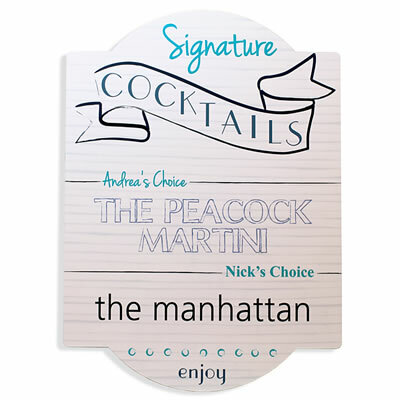 A personalized signature cocktail sign adds a nice decorative touch, as well! 2. 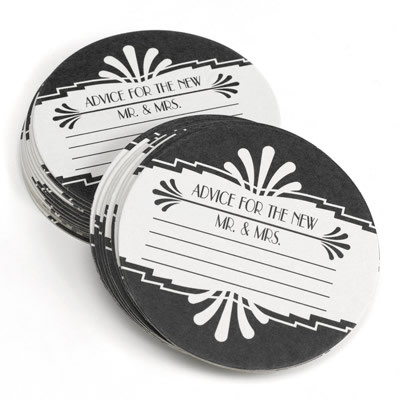 Place Advice Cards Around the Room ... this is a wonderful way to engage your guests. People love to share advice, especially when it comes to marriage. You and your groom will have a great time reading all the notes from your wedding guests after the event and there's no doubt the notes will become cherished keepsakes in the future. 3. 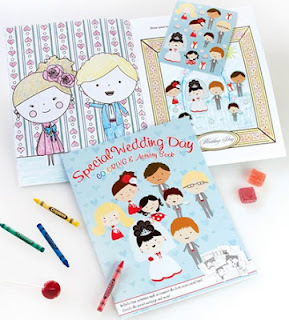 Provide the children with a small bundle of crayons and wedding coloring books to keep them busy. Considering setting up a "kids" table at the reception venue that has everything on it awaiting their arrival. Children will also stay entertained for hours with small bottles of wedding bubbles. 4. Show a video collage of you and your groom growing up, combined with photos from your various dates, trips, and engagement period. 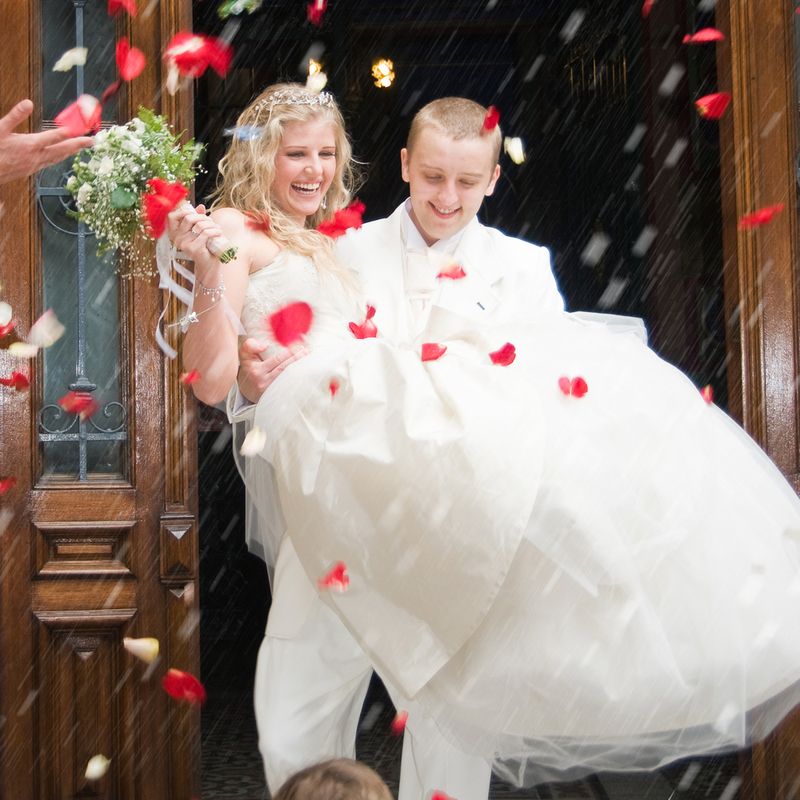 Include a photo collection displayed at the reception for guests to look at together. Many brides display wedding photos from grandparents and parents. This is always a favorite of friends and family. 5. Have a wedding photo booth. These have become very popular at wedding receptions and are fun for guests of any age. Provide props and accessories that match your theme. 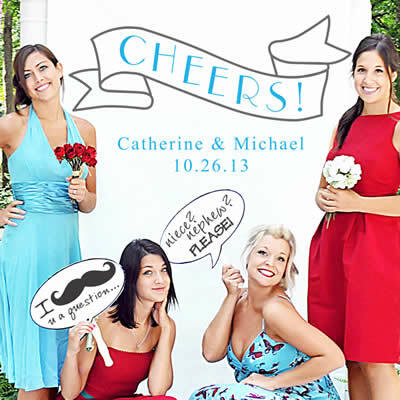 Offer a personalized photo booth background and let your guests pose to create their OWN wedding favors! You'll love looking at all the photos after the wedding, as well. We also suggest you have wedding cameras at the reception. Your guests will have fun taking pictures from their perspective. Suggest they start taking pictures when they arrive to occupy them. 6. Start the party the minute the guests arrive with an entertainer for the first hour. Bring in a roving magician or have your DJ interact with your guests and MC a trivia game about your courtship. What a great way to start the fun! Your post ceremony photo shoot is an important part of capturing your wedding story, so relax and take your time with it. As long as your wedding guests have something to entertain them at the reception venue when they arrive, they will enjoy the evening and they won't be antsy for your arrival.